S 1/c Ed Pinkerton, Jr., son of Mr. and Mrs. Ed Pinkerton, Newcastle, attended Newcastle High. 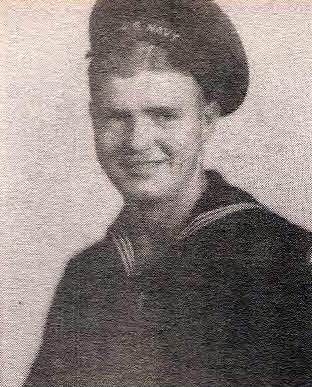 Entered Navy, 1944, trained in San Pedro Cal. Served in Okinawa and Japan. Awarded ATO, APO, and 2 Battle Stars. Dischargd, 1946.